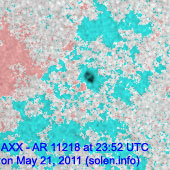 Last major update issued on May 23, 2011 at 04:35 UTC. 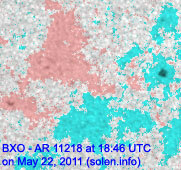 The geomagnetic field was quiet on May 22. 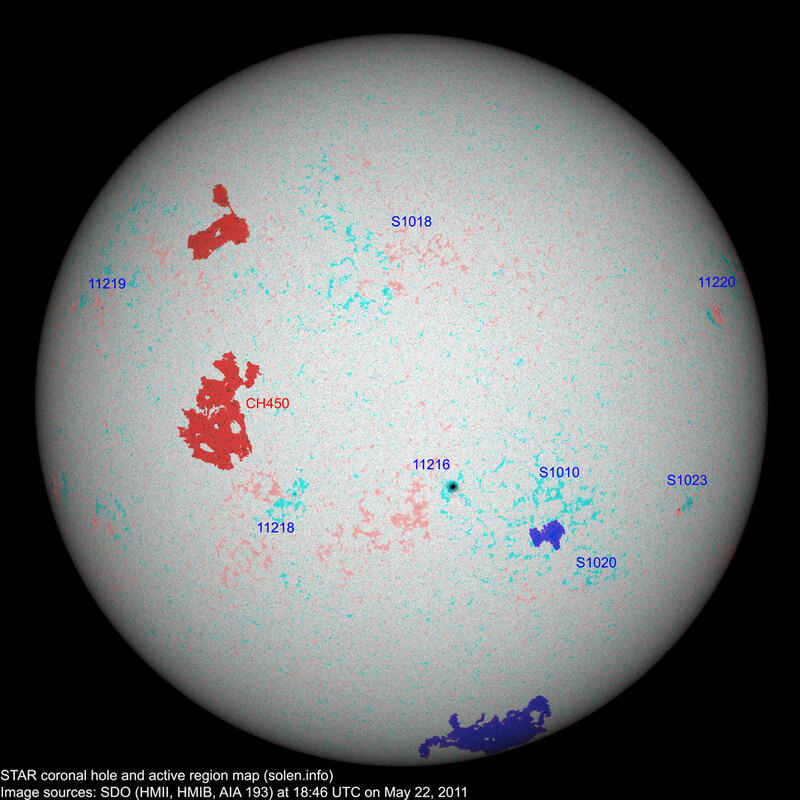 Solar wind speed ranged between 372 and 494 km/s under the influence of a weak coronal hole stream. 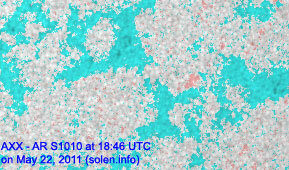 Solar flux measured at 20h UTC on 2.8 GHz was 84.5 (decreasing 27.6 over the last solar rotation). 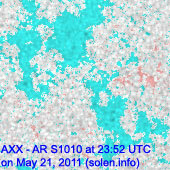 The planetary A index was 4 (STAR Ap - based on the mean of three hour interval ap indices: 4.3). 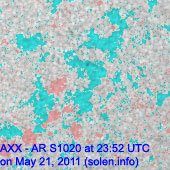 Three hour interval K indices: 22001111 (planetary), 22112101 (Boulder). 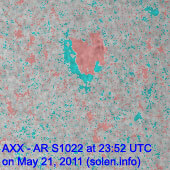 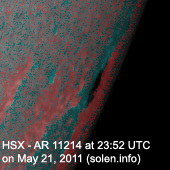 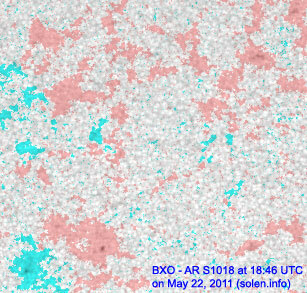 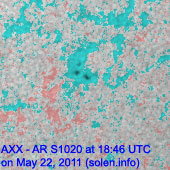 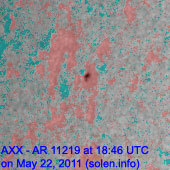 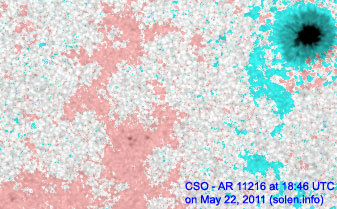 New region 11220 emerged in the northwest quadrant on May 21 and was numbered the next day by NOAA/SWPC. 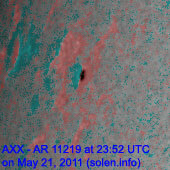 A filament erupted near 02h UTC on May 23 in the northeast quadrant. 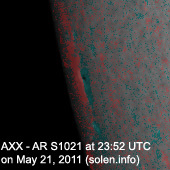 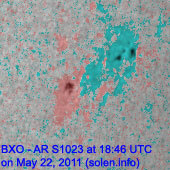 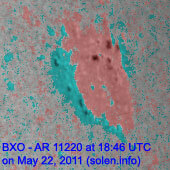 A CME may have been associated with this event. 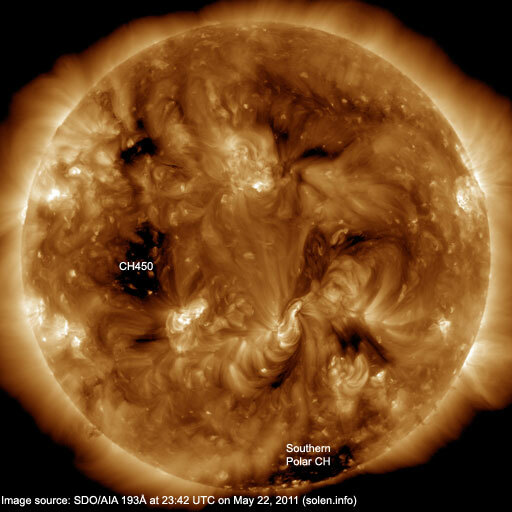 A recurrent trans equatorial coronal hole (CH450) will likely rotate into an Earth facing position on May 24-25. The geomagnetic field is expected to be quiet on May 23-25.